The APA unit allows access from either end when the center section is obstructed. This pit allows for pass through convenience of mechanicals. 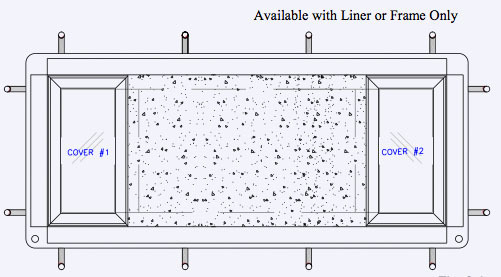 Units are available in any of our nominal sizes in 6 inch increments in length ,width and depth.